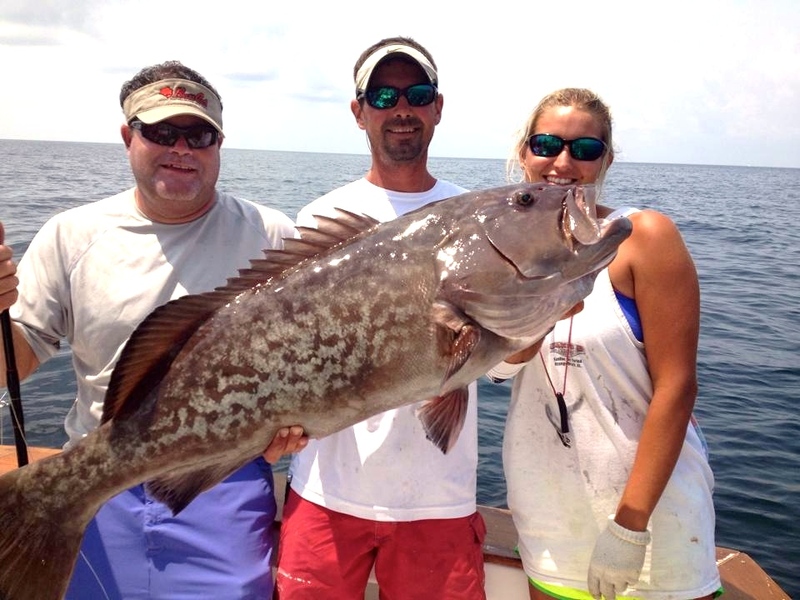 Our Alabama Charter boat captains have spent decades building one of the largest artificial reef zones in the world (20,000+ fishing spots), which has provided ideal habitat for a variety of Gulf of Mexico fish including groupers, amberjack, snappers, and triggerfish. Since most reef fish are believed to live much of their lives near these structures on the Gulf bottom, this habitat provides anglers year round opportunities to reel in a variety bottom fish species. Fishing on these spots often will attract a shark or two to the scene. Our mates are at your service to assist you throughout your day of fishing, and help you reel in a catch like this gorgeous gag grouper. 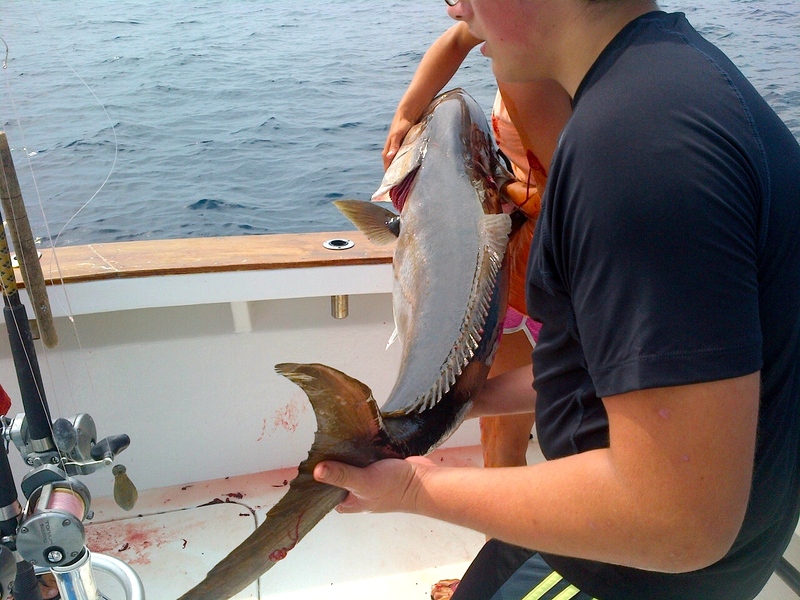 Whether you are visiting the Alabama Gulf Coast for a family reunion and have a large group looking to spend a day together on the water; or have a parent and child that want to head out into the Gulf of Mexico to catch a big fish: AAA Charters can arrange an ideal fishing trip for your vacation, (with more options than having to be on a party boat with up to 50 other anglers). 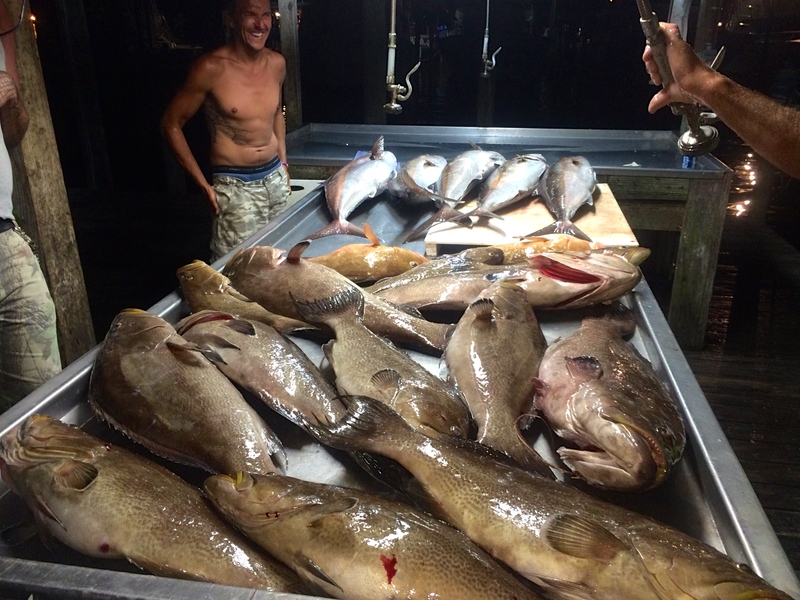 There are nearly 100 Charter boats for-hire along the AL Gulf Coast, and dozens of Captains (with various levels of experience) that offer deep sea fishing charters. 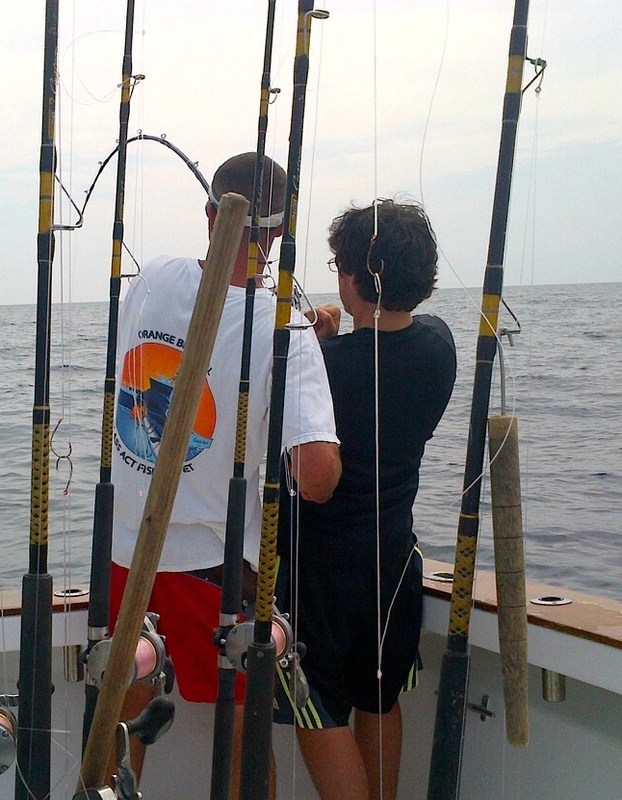 We specialize in taking the time to learning about your anglers, the type of fishing length of trip, and preferred dates for your fishing trip and then matching you with a professional captain & crew best suited for your ideal day of fishing. 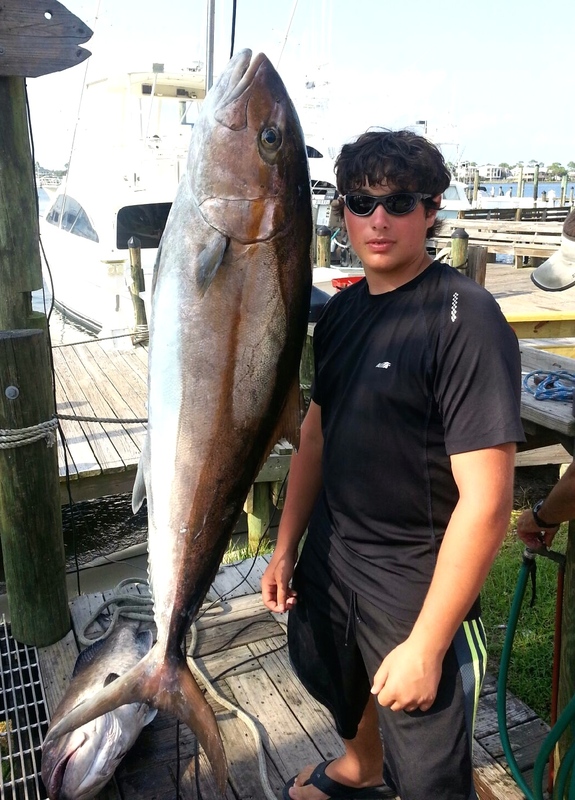 This entry was posted in Fishing, News and tagged affordable deep sea fishing, affordable family fishing, alabama bottom fishing, alabama fishing tours, boat tours gulf shores al, charter fishing gulf shores al, fishing alabama gulf coast, fort morgan al fishing trips, gulf of mexico fish species, gulf shores al bottom fishing charters, gulf shores al things to do, gulf shores deep sea fishing charters, gulf shores semi private fishing charters, gulf shores shared expense fishing, offshore fishing orange beach al, orange beach al fishing, orange beach al private fishing charters, orange beach al walk on fishing trips, private fishing charters gulf shores al, walk on charters al gulf coast on August 23, 2014 by AAACharters Team.